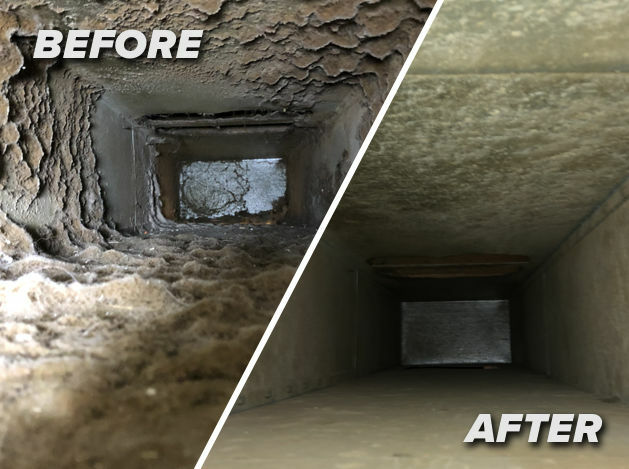 We use a state of the art Ram Air Duct Cleaning System which uses the power of our truck mount equipment to thoroughly clean your air ducts and dryer vents. Both air duct and dryer vent cleaning are an important maintenance item that most home owners forget. Don’t compromise your indoor air quality or safety! Learn more about our these cleaning services below. Kingsland, Kings Bay, St Marys, Woodbine, Yulee, Folkston, Browntown & Camden County Georgia! The EPA ranks indoor air pollution among the top five health risks. Dirty air vents are a major cause of indoor air pollution. In fact, an air duct system is a breeding ground for bacteria, animal dander, mold and dust mites. These impurities can cause allergic reactions, breathing difficulties, infections and disease. Our air duct cleaning equipment cleans and removes debris at the point of contact. This process is extremely effective and can normally be accomplished within just a few hours. We offer a 100% money back guarantee with this service. If you’re having issues with allergies, coughing, sneezing, or breathing in your home, it is probably time to get your air ducts cleaned. There Is A hidden danger spot in most homes, and chances are you don’t look at it or even think about it. It’s the vent from your clothes dryer. Over time it fills with lint that slips past your dryer’s filter and builds up in the hose and pipes that vent the warm air outdoors. As this flammable lint builds up, it can become a fire hazard in your home that can ignite at any time. A dryer with restricted air flow also runs significantly longer, causing your utility costs to rise! Running longer increases the need for repairs and decreases the life of the dryer. By cleaning your dryer vent, we can help ensure your clothes dryer is BOTH safe and energy efficient. This is a relatively simple process that we can easily accomplish inside of an hour.